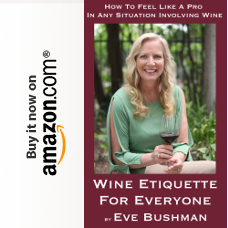 Written for CitySipper by Guest Contributor Eve Bushman. As the wine writer for Santa Clarita (Think Magic Mountain off the 5 North or Costco off the 14, both about 35 minutes north of Los Angeles.) it has been my duty to frequent our local wine bars. If you would have thought that there couldn’t be an “s” in that sentence for a small bedroom community, you need to get in the car…and drive. 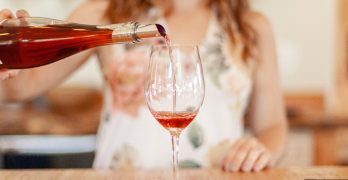 Valencia Wine Company: Our first wine bar, established on Towne Center Drive across from the popular Salt Creek Grille restaurant in the Valencia Mall 7 years ago, is my second home for French and domestic selections. If you come on the rare evening that I’m not there tell them I sent you, tell them what you like, you can’t go wrong. My wine guru Guy Lelarge owns the place but all of the employees know what they’re doing and will pair you well. All Corked Up is huge. If you think you’re driving in the wrong place, just keep looking. It’s situated in an industrial park, as that’s the only acreage big enough for this wine mega-shop. Get a private locker with your name on a gold plate, or go for the temp controlled storage, wine store, gifts, full kitchen for dining…it’s the largest facility in town, with more than one room for your drinking pleasure, get there early on live music nights. Wine 661 is our newest boutique wine tasting bar with an eclectic ambiance, a nice foreign beer selection, tapas, palate-cleansing spa water and interesting events in the heart of town. A good place for intimate conversation. Vino 100: Home of the popular Women on Wine monthly event, our cozy Vino 100 is the only wine bar serving North Valencia. I like to buy little gifties from them and visit with owners Lil Lepore and Shari Frazier. Try Frankies or New Moon for dinner while in the neighborhood, both make a mean Domaine de Canton Ginger Martini. Vintner’s Cellar: With gift certificates to make your own wine from their kits, sip their homemade selections at the counter or buy a gift, Vintner’s Cellar is located on Lyons Avenue in downtown Newhall. Head across the street when you leave for The Social. With 100 different martinis, a great dinner or just app menu, I recommend the perfect Rob Roy with bacon wrapped scallops. Lee’s Wine Bistro: Hold court under the twinkle lit garland or have a cigar next door, Lee will be on hand to guide you with wines by the glass, bottle and a nice menu of noshable foods to pair them with. Handily located next door to the Hyatt on Towne Center Drive. Roman Holiday Wine Bar: Our newest wine bar, to be opened in early 2010 in the just built “Patios” section of Valencia Towne Center Mall, promises to be of the new “self-service” variety. Similar to the private room in West LA’s Wine House, you will dispense a certain measure of ounces on your own from a machine. No doubt a sommelier will be present to help guide your way. Many are looking forward to trying out this latest incarnation of wine bars. Pulchella Winery: Our very own “local winery” created by residents Steve Lemley and Nate Hasper, members of the newly minted Santa Clarita Vintners and Growers Association, will be opening a local tasting room soon. Our first one! Their Paso Robles wine is currently available on their website, All Corked Up and Wood Ranch restaurant in Valencia. Written for CitySipper by Guest Contributor Eve Bushman. 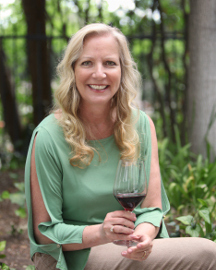 For more information on Eve Bushman, visit her Tastemaker profile and visit her blog Eve’s Wine 101. This is a very helpful list! Thanks! I now have a goal! You should cover SFV for Citysipper Denise! And, betting the goal is to come out here and try every place on the list – with me!